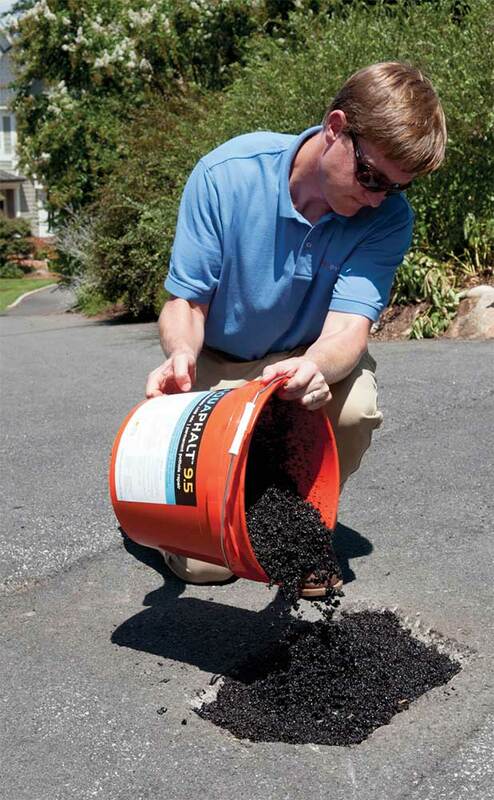 Revolutionary permanent asphalt and concrete repair material for potholes, pavement, utility cuts, walkways, tennis courts and driveways — it even works in wet and cold conditions. Eco-friendly binder reacts and hardens with only water–no toxic solvents. 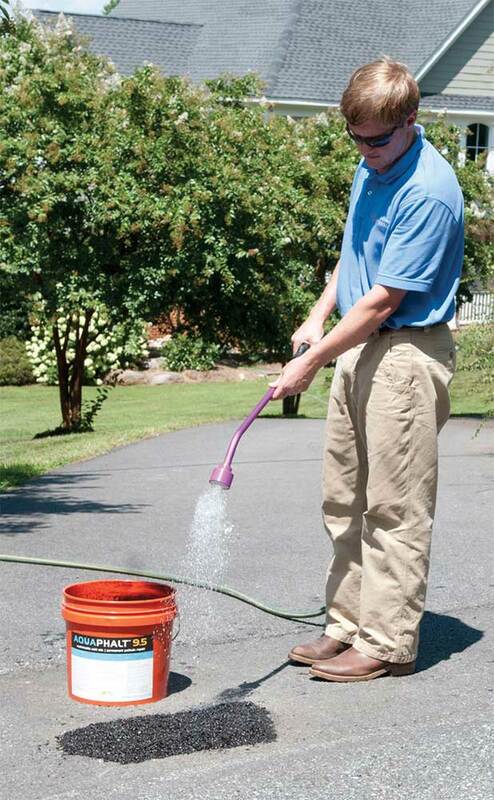 Aquaphalt is laid directly from its container–no need to mobilize large crews and equipment. 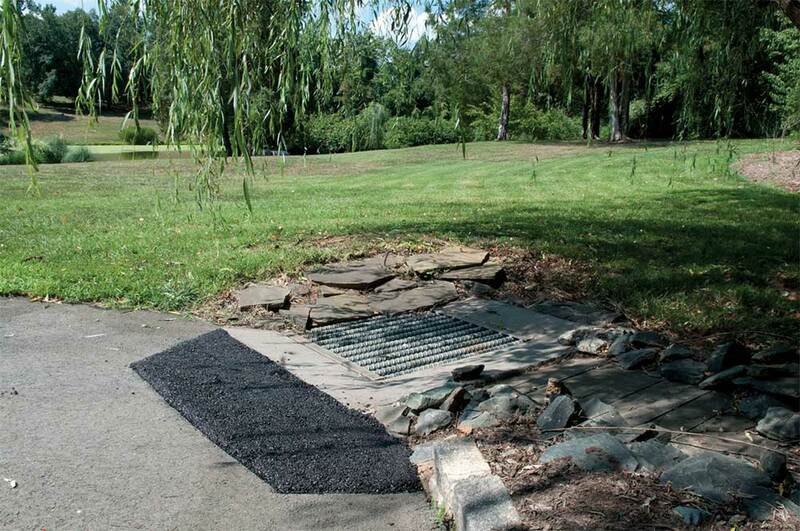 Minimizes roadway disruption with no need for special preparations. 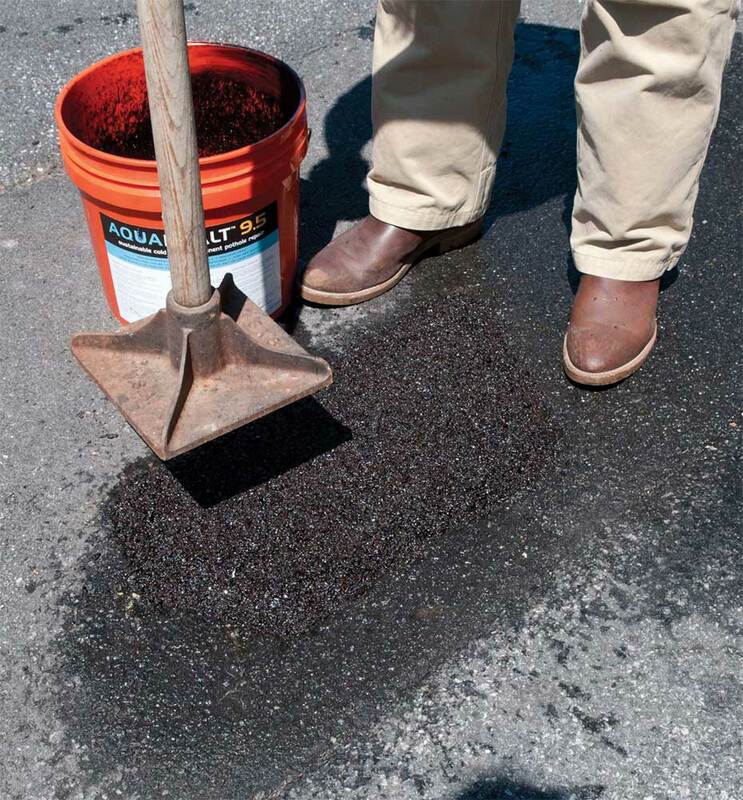 Pre-mixed and permanent, Aquaphalt is a one-time fix.